Adjust oven rack to lower-middle position and heat oven to 275 degrees. Toss beef with 2 tablespoons water, 1 1/2 teaspoons salt, and baking soda in a bowl until thoroughly combined. Set aside for 20 minutes. Diced avocado, sour cream, and shredded Monterey Jack or cheddar cheese are also good options for garnishing. 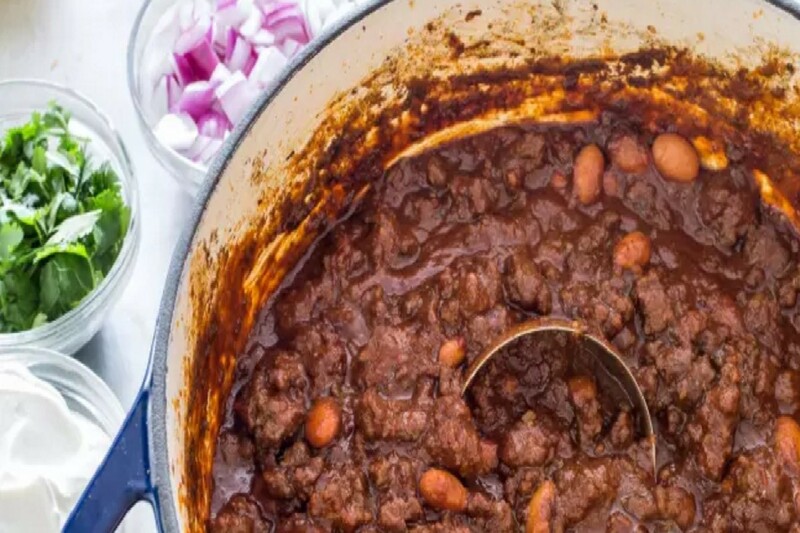 This chili is intensely flavored and should be served with tortilla chips, steamed white rice or baked potato.